Energy efficiency is the “first fuel”, meaning fabric-first approaches to reducing energy use in the building stock are essential, a leading Irish academic and sustainable architect has claimed. Speaking at an Ecological Building Systems masterclass in airtightness and wood-fibre, Professor J Owen Lewis, emeritus professor of architectural science at UCD, chair of the Irish Green Building Council and former CEO of the Sustainable Energy Authority of Ireland noted that the International Energy Agency now categorise energy efficiency as the “first fuel”. The basis for this claim, Prof Lewis explained in a thought-provoking keynote address, is that energy delivered through efficiency is now greater than that of oil, gas and coal combined, thus further reinforcing the need to ensure buildings are designed on a fabric-first basis using materials with a minimal environmental impact. Ecological Building Systems held the event in conjunction with their German partners Pro Clima and Gutex on 10 and 12 May, providing a unique opportunity for architects, engineers and building professionals to learn about the latest developments in delivering high performance, healthy low energy building. The event was attended by building professionals from all over Ireland and the UK. Michael Foerster, lead technical engineer with Pro Clima for over a decade, outlined key steps to ensure that a durable airtight and wind-tight specification is attained for the lifetime of a building. Michael also provided an overview of key steps to minimise the risk of condensation in both flat and pitched roofs. Meanwhile Ulrich Wilms, wood engineer from Gutex, delivered a series of wood-fibre insulation seminars. Ulrich outlined the unique technical benefits of applying woodfibre to both new builds and retrofits. 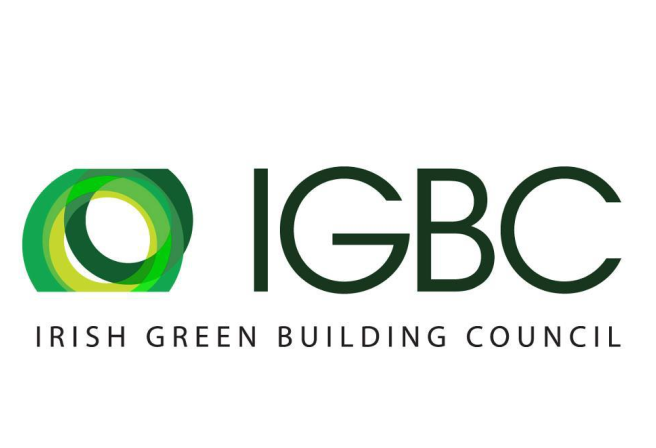 Niall Crosson, senior engineer with Ecological Building Systems, also delivered a series of technical airtightness, vapour control and thermal insulation presentations highlighting the latest developments in high performance construction in Ireland. The masterclass was completed with a number of practical demonstrations by passive house tradesperson Roman Szypura of Clioma House Ltd, and experienced lime plasterer David Broderick of DB Plaster Ltd. Following the masterclass, attendees enthusiastically requested another series of seminars with a clear interest in durable retrofit solutions. Ecological plan to hold another masterclass series based on this later this year. For more information see www.ecologicalbuildingsystems.com.